Several Minnesota homebrewers returned from AHA’s National Homebrewers Conference in Grand Rapids, Michigan with heads held high and awards held even higher. Over 8,000 brewers across the country took part in the competition last weekend. Seven Minnesotans placed in the top 3 of their entered categories, a remarkable feat. We have a lot of talent here in Minnesota. 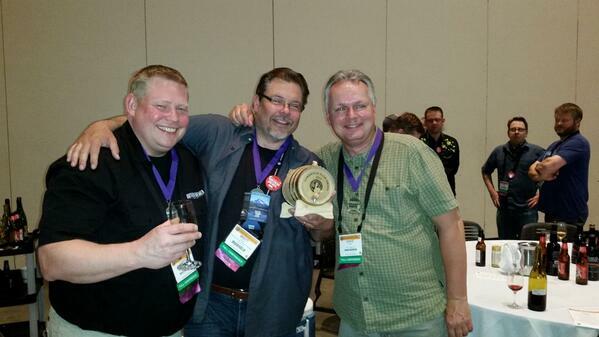 Minnesota Home Brewers Association won the Gambrinus Club Award. Named for King Gambrinus, the (unofficial) Patron Saint of Beer, this award is given to the club having the most Final Round points per the number of entries from the club in the National Homebrew Competition. Matthew Weide, Brett Glenna, and Sean Kampshoff combined to earn the prize for their club, MHBA. Matthew Weide took home Meadmaker of the year & 1st place for his Melomel (fruit mead). The Meadmaker of the Year award is awarded to the maker of the mead of all gold medal winners in all three mead categories.